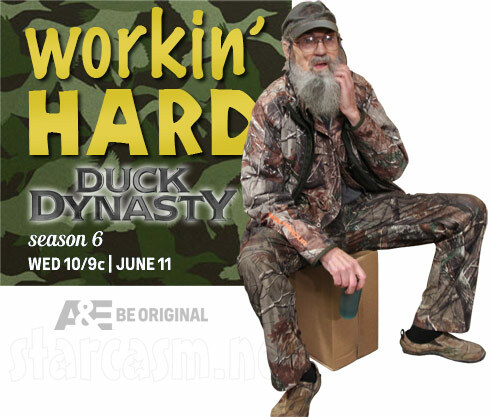 The most watched reality show on cable returns June 11 as the bearded braggadocios of A&E’s Duck Dynasty return for a sixth season of hi-larious hi-jinx. 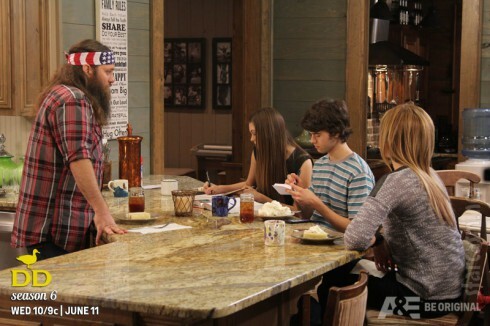 To promote the new season, A&E has released a series of brief preview clips that include a repelling repelling wedgie incident, and appearance by Louisiana Governor Bobby Jindal, and John Luke getting his turn in the spotlight — with a little “help” from pop Willie and uncle Si. Though it was not mentioned in the A&E press release, we assume that Martin’s engagement to girlfriend Brittany Brugman will also be featured this season — perhaps in the finale?